Dr Turner is based at the St Martins Surgery. She is a Founding Fellow of the Faculty of Sports and Exercise Medicine and was one of the 2012 Olympics doctors. She offers comprehensive medical care for all musculoskeletal and sports-related problems including the assessment of the fatigued or underperforming athlete. Having been awarded distinction in her Masters in Musculoskeletal ultrasound in 2015, Dr Turner is now able to use the ultrasound machine at St Martin’s surgery to help confirm the diagnosis in a wide variety of muscle, joint and tendon pain. 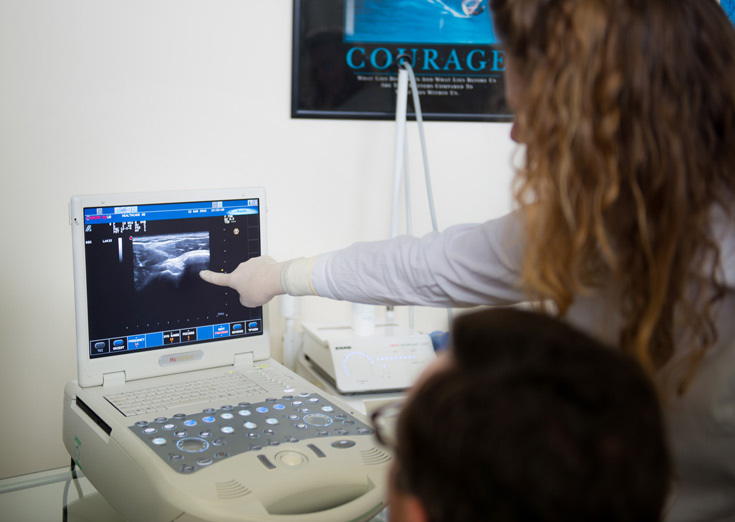 Ultrasound is an invaluable tool to look at the injured part of your body and can help to instantly confirm the diagnosis as well as look at muscle recruitment. She is also able to use ultrasound to guide a large range of joint and soft tissue injections. Ultrasound guidance helps to increase the accuracy of the injection and decrease the pain of the procedure. Injections available include corticosteroids for conditions such as inflamed bursa and tendons; sclerosants for partial tendon tears; whole blood injections for chronic tendinopathy and hyaluronic acid injections, which can help ease osteoarthritis. 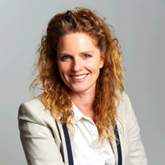 She was the first clinician to introduce Shockwave therapy to Guernsey, and therefore the most experienced. She finds it particularly useful to use Ultrasound to guide her Shockwave treatments. Dr Turner can undertake pre-participation medicals, and give advice to people of all ages on how to safely commence an exercise program. She has a special knowledge on exercising in pregnancy and at the extremes of age, as well as with conditions such as diabetes, asthma and epilepsy. Dr Turner is very excited to be the first person in Guernsey to be able to offer the Platelet rich plasma (PRP) injections for joint and tendon problems. At your first consultation with Dr Turner you will have an extended, 35-minute appointment, to allow the doctor to take a detailed history and perform a physical examination to assess the problem. From this, a provisional diagnosis and treatment plan can be explained to you. An ultrasound examination may be performed within this time. Treatment may be carried out during the first assessment or you may need to return for a longer procedure. We suggest discussing this with your normal doctor to check that this is appropriate for you. These are enhanced consultations and insurance companies may require you to have been referred by your GP. If you have medical insurance we would advise you to check with your insurance company whether they will pay for an extended consultation and ultrasound prior to your appointment. When booking an appointment it is important to tell us that you have a musculoskeletal problem. Please use the menu on the right hand side to browse through all available Joincare services.